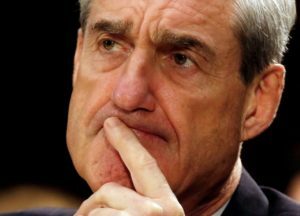 WASHINGTON — The Justice Department said Sunday that special counsel Robert Mueller’s investigation did not find evidence that President Donald Trump’s campaign “conspired or coordinated” with Russia to influence the 2016 presidential election. Mueller also investigated whether Trump obstructed justice but did not come to a definitive answer. Read Attorney General Barr’s full letter on Mueller report conclusions. Democrats vowed to press on with their own investigations, while the White House claimed vindication. “The findings of the Department of Justice are a total and complete exoneration of the President of the United States,” White House spokeswoman Sarah Sanders said. Barr’s chief of staff called White House counsel Emmet Flood at 3 p.m. Sunday to brief him on the report to Congress. We finally know what the Mueller Report says and it is just the beginning of a fight. This KEY sentence will be the subject of many political fights between the Hill and the WH: "This report does not conclude that the President committed a crime, it also does not exonerate him."